Get out of town with these interesting Amsterdam side-trips: Binnenhof & Ridderzaal (Inner Court & Hall of the Knights) (in The Hague) and Haarlem (Frans Hals Museum & Gasthuis Huisjes (van het vroegere St. Elisabeth's Gasthuis)). 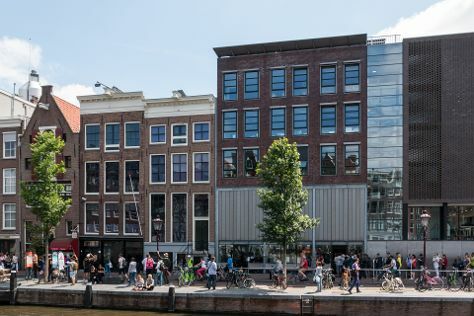 There's much more to do: contemplate the long history of Anne Frank House, stroll through Vondelpark, explore the world behind art at Rijksmuseum, and take an in-depth tour of Van Gogh Museum. For ratings, other places to visit, maps, and more tourist information, read our Amsterdam online trip itinerary planner . If you are flying in from Iceland, the closest major airports are Amsterdam Airport Schiphol, Eindhoven Airport and Eelde Airport. In February, daily temperatures in Amsterdam can reach 7°C, while at night they dip to 0°C. Cap off your sightseeing on the 5th (Tue) early enough to travel back home.